Workers in the Cavite ecozone are slamming management schemes of busting unions by shutting down their factories. One garments factory temporarily shutdown last month and there are rumors of an electronics firm closing next month, both located at the Cavite Economic Zone in the town of Rosario. However, workers are alleging that the shutdowns are motivated by union busting. On Monday, workers are holding a mass protest at the Cavite ecozone to highlight their demand for respect for freedom of association, and better wages and benefits. “We call on the Department of Labor and Employment (DOLE) and the Philippine Economic Zone Authority to intervene as these unfair labor practices by foreign capitalists are engendering workers discontent and labor disputes. Workers are unionizing to improve their working conditions but are being met by extreme interference from capitalists unwilling to share the fruits of production,” asserted Rene Magtubo, national chair of Partido Manggagawa (PM), which has been assisting the ecozone workers. 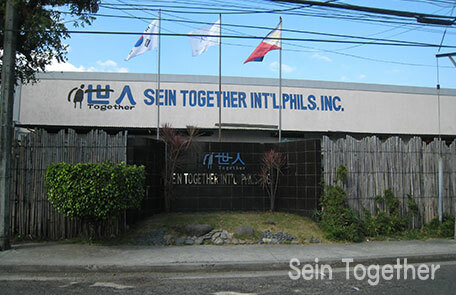 Last month, the garments factory Sein Together Phils. Inc. closed down and then reopen on October 23 according to a notice filed at the DOLE. However almost four hundred Sein Together workers have already been terminated after accepting a separation offer. Meanwhile at the electronics firm Lakepower Converter Inc., workers are concerned by stories from management personnel that it will shutdown temporarily next month. Starting this week, overtime was cancelled and workweek was reduced to only five days at Lakepower. “The common denominator between Sein Together and Lakepower is that workers exercised their right to unionize so they could better their wages and working conditions. In the Korean-owned Sein Together, the response of management was to harass workers and force them to accept separation during the shutdown,” Magtubo explained. Last month, media reported the exodus of Korean companies from the Philippines to Vietnam due allegedly to the high cost of doing business. Magtubo insisted though that some of the companies may just be relocating to avoid unionization. He cited the case of Faremo International Inc., the biggest garments in the Cavite ecozone that shutdown in October last year, just four months after signing a collective bargaining agreement with the then newly-formed union. More than seven hundred workers were laid off because of the factory closure but the union maintained a picketline for three months inside the Cavite ecozone to demand the reopening of the factory. The dispute ended with the workers accepting an improved separation offer from Faremo, including the grant of sewing machines for a livelihood project. Magtubo also mentioned the dispute at the Seung Yuen Technology Industries Corp., an electronics supplier at the Cavite ecozone that filed for closure after the workers voted yes to a union in April 2016. After the union accepted an improved separation offer, the factory reopened immediately under a new name and with contractual and non-union workers. “This modus operandi of closing a factory to bust the union and reopening under a new name is also practiced in the Mactan Cebu ecozone as can be gleaned from the very recent case of electronics factory Cebu Nisico Corp. Before negotiations with the union could begin, it shutdown last August, offered separation to almost 200 workers and then reopened after just two weeks with a new name,” Magtubo averred.